Your Tbilisi guide and driver will meet you at 8 am at the lobby of your Hotel, and in 2 hours from that time you will be at the entrance of the Borjomi-Kharagauli national park. This one day winter tour to Borjomi is a 4-5-hour long winter walking hike through the snowy Borjomi forest on the snowshoes. You will take a light trail through the snowy park, which will start from the Atskuri trek station and continues through the forest for about 3 kilometers. 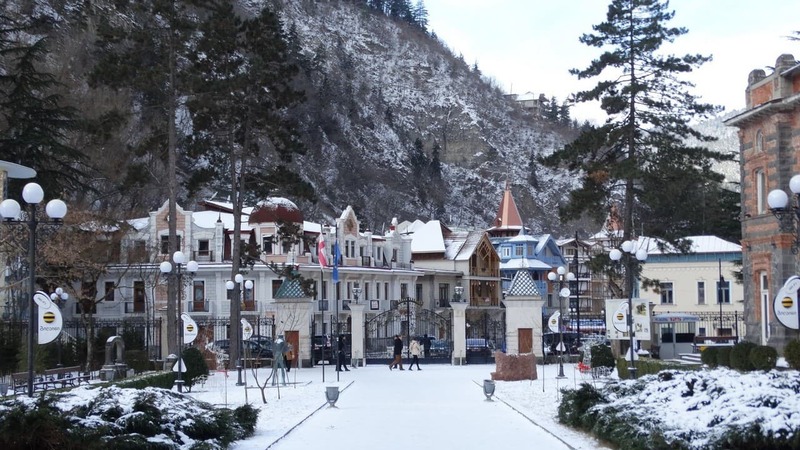 The winter snowshoes walking tour in Borjomi is an ideal opportunity to spend a perfect refreshing day in Georgia. Departure back to Tbilisi at 4:30 pm. NOTE: Please do not forget to have a warm winter clothing and relevant footwear, sun tan lotion and sun glasses.